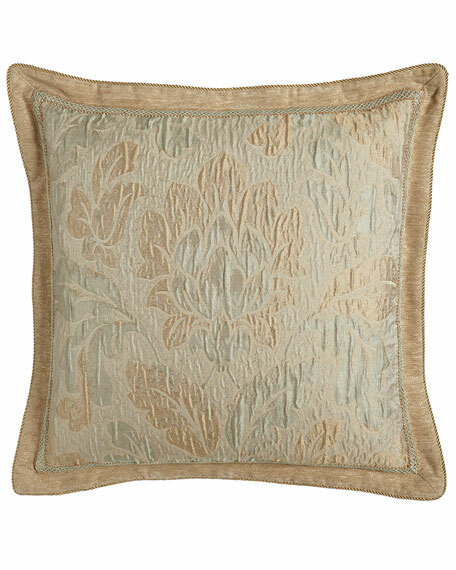 Floral plisse sham in soft tones of pistachio and champagne. Finished with a velvet flange. For in-store inquiries, use sku #1825130.